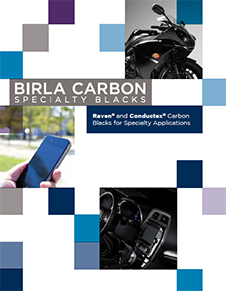 Conductex® 7055 Ultra® by Birla Carbon is a conductive carbon black. It is available in the form of beads. Provides longer screen life, enhanced color development and reduced scrap. Offers increased compatibility, improved dispersion and better processing. It is designed to be incorporated into thermosets or thermoplastics for improving color, tint, or functional characteristics. Conductex® 7055 Ultra® is recommended for wire and cable, electrostatic discharge, and other conductive applications.